I am a Purina Partner. All thoughts and opinions are my own. Do you remember how I went to the Better With Pets Summit a few months ago? This is one of my favorite events each year and I learn so much. I wanted to share with you a recap of the event and remind you why my life is truly “better with pets”. The keynote speaker, Dr. Reynolds, told the story of the Frank Attla Youth Program. 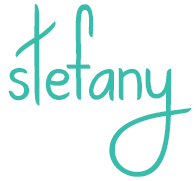 It was emotional and something I am very interested in learning more about. He spoke about a program that gives at-risk youth in rural Alaska gain confidence and self-esteem by adding dogs into the school curriculum. Dr. Reynolds is one of those people that you meet and his vision stays with you. 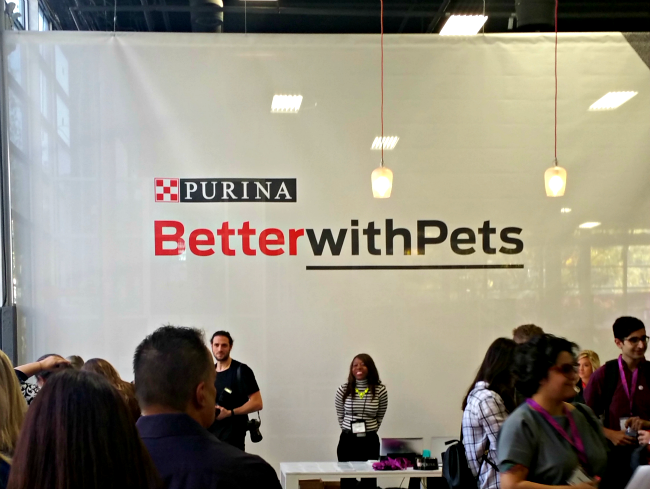 At the summit, Purina announced it will donate $50,000 to this program that gives the students an opportunity to create a unique bond with dogs and teaches them how to care for them, something that is making a huge difference in the lives of these kids. Here is a video about the program. Next there were 3 panels that discussed various pet topics. Here is a rundown of what they were about. This panel talked about cats and the relationship owners have with them. Purina revealed results from a recent survey that showed that nearly half of the 1,000 millennials surveyed own a cat and that 88 percent of cat owners consider themselves similar to their pets. It was a fun and entertaining panel that I really enjoyed. 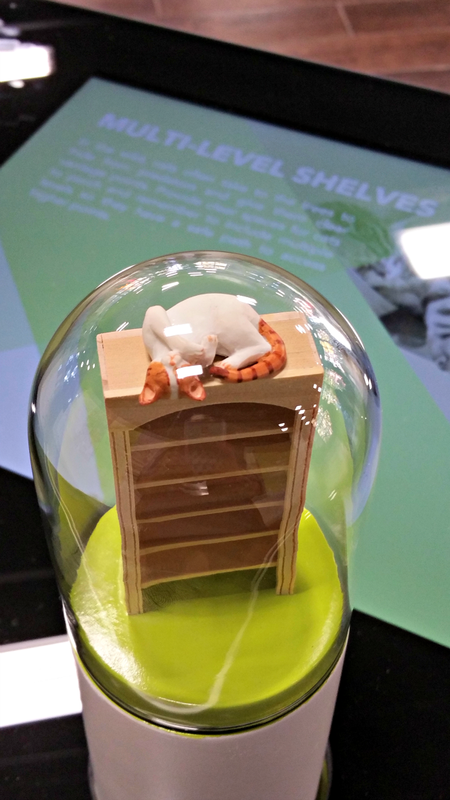 I was able to relate to the panelists as a cat owner! This panel talked about the stress of our pets and how both good and bad stress affects them. I wrote more about this here. The third panel focused on the benefits of raising pets and kids together. It talked about that special relationship that can be formed between child and pet and how to teach children to care for pets, give them necessary space, and more. To end the summit, author and reality television personality Carole Radziwill, shared how her own pet ownership has shaped her life. She even had one of her dogs at the summit! In the afternoon, there were some interactive exhibits we were able to see. 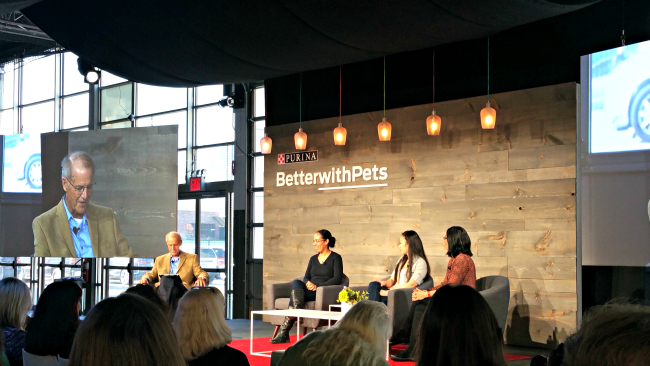 I learned so much at the Better With Pets summit this year and can’t wait to see what they have next year. My life is truly better with pets and I can’t imagine living without my dogs. They bring me happiness, peace, and teach my kids responsibility and compassion. Living with pets is important to my family and the Better With Pets summit allows me the opportunity to learn how to live with them better.